Sheila Irene Pant was born in Almora, now in Uttarakhand, India, to a Kumaoni Christian family. Her father, Daniel Pant, served in the United Provinces Secretariat. Of Kumaoni Brahmin (a high caste of Hindus) heritage, the Pant family was a relatively recent convert to Christianity in 1871. 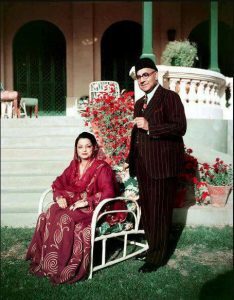 President Skindar Mirza was married to Nahid Afgham. Nahid Afgham who become Nahid Mirza after getting married to Skindar Mirza was basically Iranian woman. According to Pakistani historians “Iskander Mirza lived in exile in London, England, until his death. It is reported that Mirza struggled financially while living in London trying to run a small Pakistan cuisine hotel. Here he lived in poverty until his death. His only regular income was an annual pension of £3,000 as a former military officer and president. People like the Ispahanis, Ardeshir Zahedi, the ambassador and later Foreign Minister of Iran, the Shah of Iran, Lord Inchcape, Lord Hume and other heads of European governments made his life in exile tolerable. At the London hospital where he died, he once said to his wife, Nahid: “We cannot afford medical treatment, so just let me die. 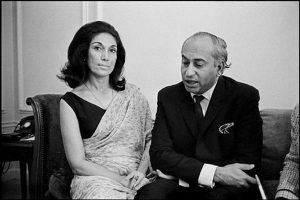 One more interesting thing i want to tell you that Nahid was cousin of Bhutto’s wife Nusrat and both were Iranians. 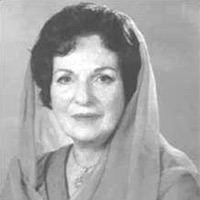 Nusrat Bhutto ‬‎, born Nusrat Ispahani; 23 March 1929 – 23 October 2011) was an Iranian-Kurdish public figure who served as Spouse of the Prime Minister of Pakistan between 1971 until the 1977 coup, and as a senior member of the federal cabinet between 1988 and 1990. 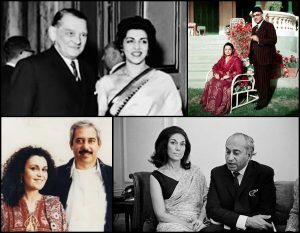 After Bhutto was elected as the Prime Minister in 1971, Ispahani became the First Lady of Pakistan and remained so until her husband’s removal in 1977. She immediately succeeded her husband as the leader of the Peoples Party, and, while under house arrest, fought an unsuccessful legal battle to prevent her husband’s execution. After Bhutto’s execution, Ispahani, along with her children, went into exile to London, from where in 1981 she co-founded the Movement for the Restoration of Democracy, a nonviolent opposition to Zia’s regime.She died on 23 October 2011. 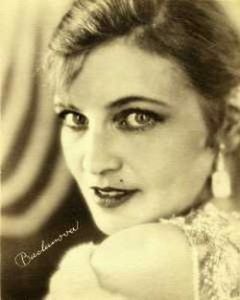 Vera Alexandrovna Tiscenko was a Russian actress of Polish descent and member of the Moscow Art Theatre. 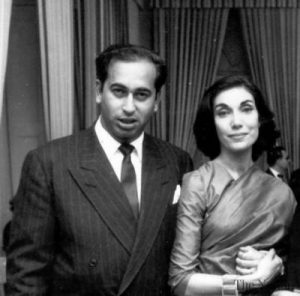 Vera was wife of former Pakistani Prime Minister Huseyn Shaheed Suhrawardy, who was a Bengali politician and a lawyer who served as the fifth Prime Minister of Pakistan, appointed in this capacity on 12 September 1956 until resigning on 17 October 195. Ghinwa Bhutto born (Ghinwa Itoui) is a Pakistani politician and the widow of Murtaza Bhutto. She is also the sister-in-law of the late Benazir Bhutto. She is of Lebanese-Syrian and second wife of Murtaza Bhutto and stepmother of Fatima Bhutto. 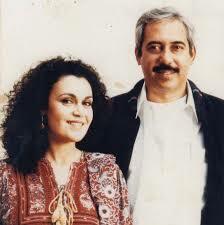 Murtaza Bhutto and his daughter Fatima spent time in exile in Syria, where Murtaza first met Ghinwa. Ghinwa had fled from the Lebanese Civil War back home and migrated to Syria, where she used to give ballet classes in the basement of a church. Fatima was one of her students. Murtaza and Ghinwa would later marry in 1989. Jemima Khan is a writer and TV producer. … Jemima was born in London on January 30, 1974, to tycoon Sir James Goldsmith and Lady Annabel Vane Tempest Stewart. … Her studies finished prematurely in 1995, when Jemima met and then married Imran Khan, a dashing Oxford-educated cricketer. Imran Khan’s nine-year marriage to Jemima ended back in 2005.